Basseterre, St. Kitts, April 26, 2017 (SKNIS): As St. Kitts and Nevis joins the rest of the world in observing World Intellectual Property Day 2017, which is celebrated annually on April 26, officials from the federation’s Intellectual Property (IP) Office are encouraging creative minds to develop a better understanding of what IP is all about, especially as it relates to their creations. 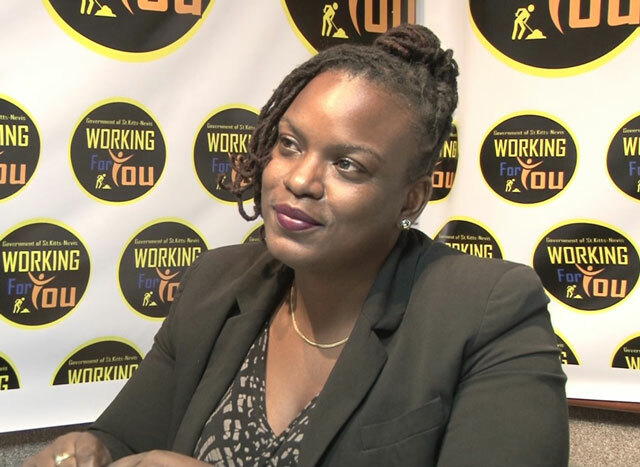 Jihan Williams, Registrar of the IP Office in St. Kitts, while appearing on “Working for You” on Wednesday, April 26, urged persons to educate themselves on the workings of IP. She used the opportunity to outline a working definition of Intellectual Property and spoke about person’s right to their creations. Commenting on the organization that was created to encourage creative activity, to promote the protection of intellectual property throughout the world, the World Intellectual Property Organization (WIPO), Ms. Williams noted that its primary role is to “bring awareness and also to coordinate the workings of the IP Legal Framework. “Essentially, they are the main body globally that will create programmes and information for the member countries of the United Nations (UN) to learn about IP. They administer many of the treaty of work, for example, trademarks and patents,” she said. This year’s World Intellectual Property Day is celebrated under the theme “Innovation – Improving Lives”. Information from http://www.wipo.intstates that this year the aim is to explore how innovation is making our lives healthier, safer, and more comfortable, turning problems into progress, while looking at how the intellectual property system supports innovation by attracting investment, rewarding creators, encouraging them to develop their ideas, and ensuring that their new knowledge is freely available so that tomorrow’s innovators can build on today’s new technology.